The Brunswick Freestyle Double Roller features the new swirl designs. 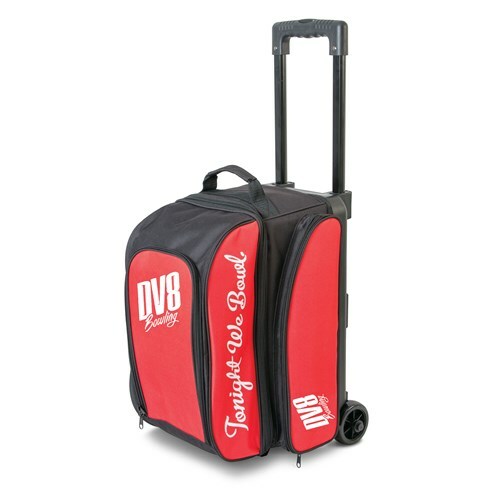 This roller offers enough storage space for all of your bowling accessories and a large size of shoes. This roller features a retractable and locking handle system as well as a 5 year limited manufacturer's warranty. How heavy is this bag without balls? With bowling balls it would be around 30lbs, without bowling balls it will be around 10lbs. Due to the time it takes to produce the DV8 Freestyle Double Roller Red ball it will ship in immediately. We cannot ship this ball outside the United States.